The following spec is an example. 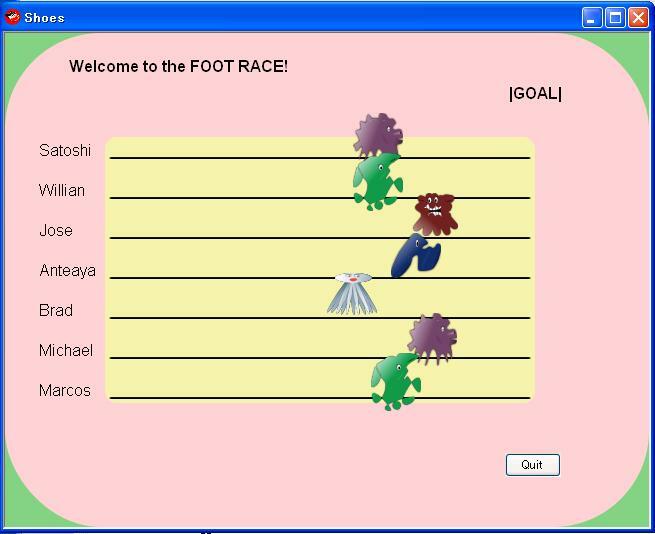 Let’s imagine freely and write your own Foot Race Game. Racers run toward the goal. When the first racer meets the goal line, the game stops and then shows the winner. When multiple racers meet the goal line at a time, they are all winners. Until user selects quit the game, user can play the game repeatedly.